Entitlement. My dictionary tells me it means “the belief that one is inherently deserving of privileges or special treatment.” While the dictionary might tell me what it means, kids all around show me. So how do we get our kids to begin thinking outside of themselves and caring for others? We must start with compassion. 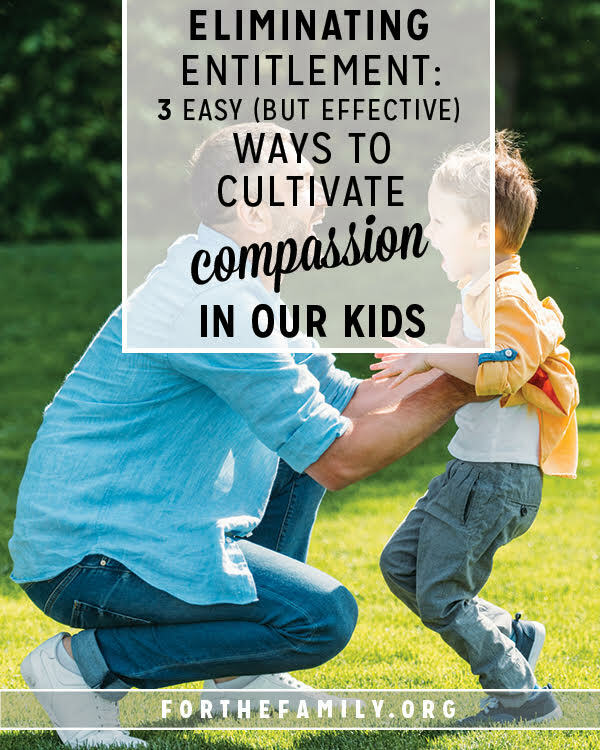 While my kids, like most, struggle with entitlement, we’ve found that these three things have helped to cultivate compassion in our hearts and homes. You know the old adage, “Do as I say, not as I do”? Well, it doesn’t work. Kids will do what you do almost every single time. When you hear entitlement coming out of their mouths, first do a self-assessment. Are you modeling an entitled attitude or a compassionate one? When you talk about work, your in-laws, the neighbor whose dog keeps pooping in your yard, or the car in front of you driving under the speed limit? How do you talk about those people or situations as it relates to you? I’m not saying we should avoid conflict or never address issues that come up, but the attitude in which we talk about the people and address the situations 1) demonstrates what’s in our own hearts and 2) sets an example our kids will probably follow. Of course, our modeling goes beyond words, too. How are compassion and care of others modeled in your home? We have room to grow in this area, too, but we’ve come a long way. My kids love to surprise us with breakfast in bed because they’ve seen us do that for each other. One of my kids will occasionally sit near me and rub my feet because he’s seen his daddy do that for me on many occasions. It’s easy to focus on the grumbling we often hear, but how encouraging it is when you see one of your kids serving in a way that you’ve modeled! In your daily interactions, what are you modeling — entitlement or compassion? How can you model thinking of others and meeting their needs today? One of the best ways to begin thinking of others is to start praying for them — regularly. When you thank God for your meal, take time to pray for God’s provision and sustaining strength for the kids in your neighborhood or across the world who don’t have food to eat. When you’re tucking your kids into bed, thank God for soft pillows and too many stuffed animals … and pray for those who don’t have a bed or a home in which to sleep. Pray for kids who don’t feel safe in their beds and those who don’t have a mommy or daddy to tuck them in. When you drive to church, thank God for the freedom to attend church in safety … and pray for those who don’t have that freedom. Pray for the missionaries and our brothers and sisters in Christ who risk everything to share the Gospel of Jesus. It’s so easy to get stuck in our routine prayers, forgetting how much we have and thinking only of our own needs. Begin to pray for others — regularly and fervently and see if it isn’t catching. See if God doesn’t move your heart to action and open your eyes to others. I’m pretty sure He will. 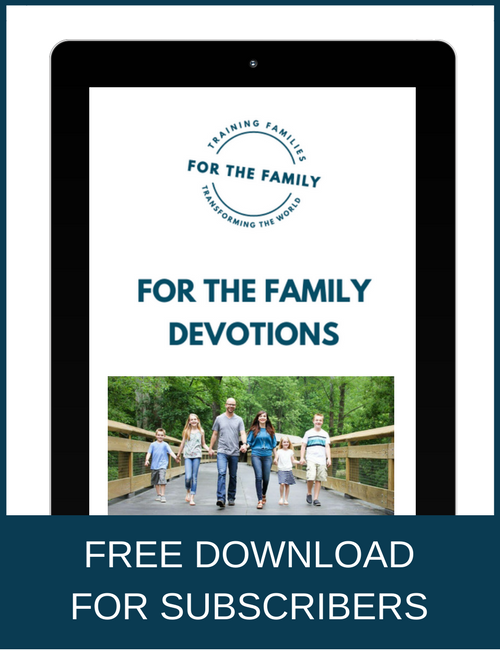 –> If you want to help your family be more consistent in praying for others, grab our just-released Family Scripture + Prayer Calendar! Take those prayers and put them into action. When you pray for the needs of others, ask God to show you how to be a part of meeting those needs! Make serving a regular part of the routine in your home. We keep this printable on our fridge near our Family Scripture + Prayer Calendar as a reminder of ways to serve and to make sure we regularly schedule service opportunities we might otherwise think we’re too busy to do. 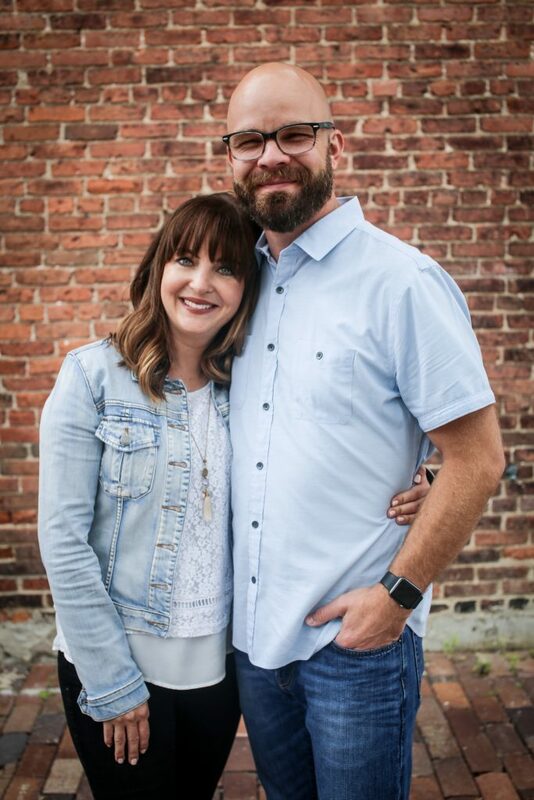 Entitlement might be the norm in our culture, but it doesn’t have to be the pattern in our homes. We can help our kids think of others and develop hearts of compassion. In the trenches with you! 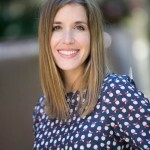 This article helped me understand how my parenting style might be encouraging entitlement and what I can do to break the cycle (based on this book). This is another great book filled with practical ideas on how to cultivate gratitude and servant-hearts in our kids. 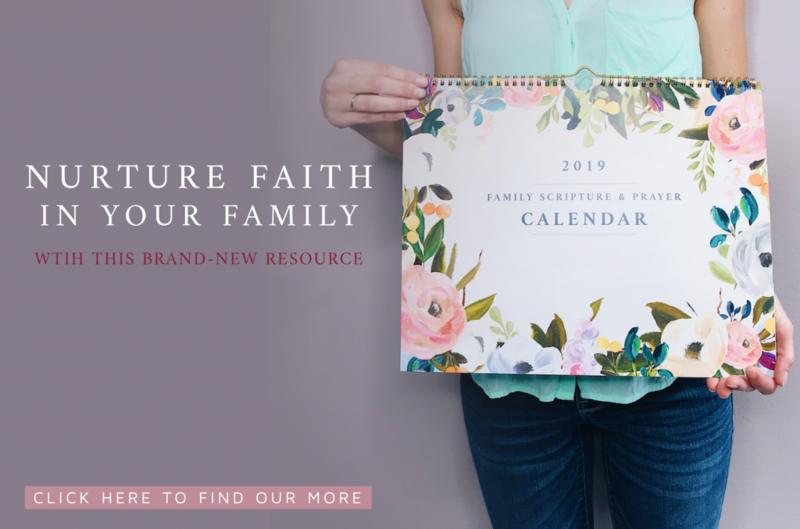 Our brand-new Family Scripture + Prayer Calendar was created to help you and your kids pray for others. Hang it where you can see it and use it and keep the needs of others at the front of your mind and heart. We love this tool and think you will too. Find out more about it HERE.